Younger brother of Gary, quick and direct forward Stuart signed for Lok from Petershill in the summer of 2017. He also had a season playing alongside Gary at Irvine Meadow in 2015-16. 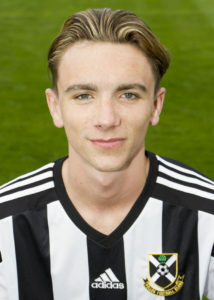 Prior to Meadow, he played in the youth ranks and his last club at that level was Campsie Black Watch at U19 level. It was announced in April 2019 that Stuart had signed up again for the 2019-20 season.